Granted! it was Halloween, but still, it’s not your typical Farmers Market! Technical: Starts with my own photo. Ends with that and Procreate drawing. 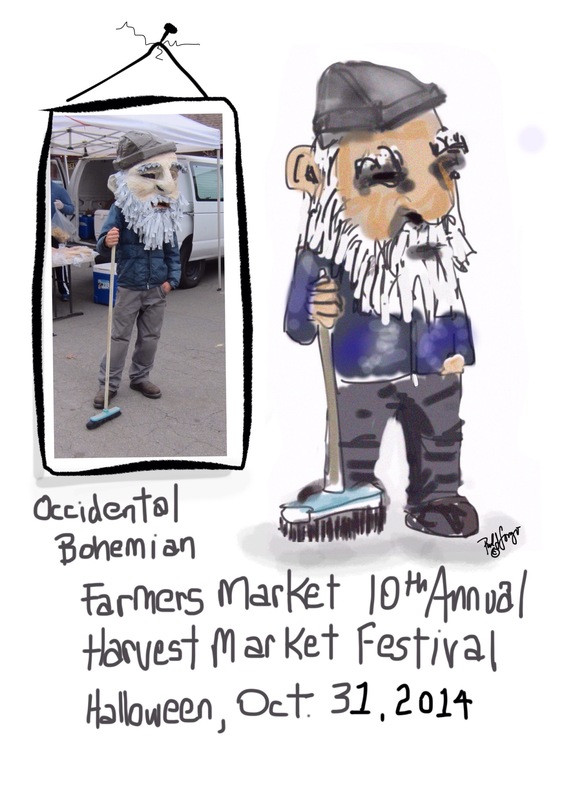 This entry was posted in Digital Artwork, iPad Art, Sketches and tagged Gerard's Paella, Occidental Bohemian Farmers Market, Occidental California, Procreate by portfoliolongo.com. Bookmark the permalink. The image didn’t show in my Reader. I’m not sure what may have caused that. Thanks for the observation.